A high school friend of mine recently posted on facebook a series of old postcards set to music of our hometown of Wellsville NY. The images brought back so many memories of the Place where we grew up: The Old Fassett Hotel, the big pool, The Texas Hot, the David A Howe Public Library, JJ Newberry's, and many other buildings and places now long gone. I realized that many of these places still exist in my dreams. For instance, I often dream of JJ Newberry's, the five-and-dime store on Main Street that had toys in the basement, shiny floors, and delightful racks of clothes on sale. Let me rephrase that: I don't dream OF Newberry's, but for some odd reason the store appears in my dreams often -- the ching of the cash registers, the long aisles packed with merchandise, the sun coming through the front windows, the back door leading out to the street. I hadn't realized it was still in my dreams, until I saw the postcard, and became conscious that I'd been there countless times through the years though it closed over 30 years ago and that was impossible. I LOVED JJ NEWBERRY'S! We had one in Berwick, PA that did extremely well for years until it got struck by lightning in 1985 and burned down. They did not rebuild it. Everyone still talks about that store as it was virtually, the epicenter of our downtown shopping for years. We had Newberry's, S&H Green Stamp store, Montgomery Wards all on the same block. We also had a Grants, Sears and Guinan's, on other streets in town. I wish so much that they could bring them back. We used to have nice stores where you could buy just about anything you needed or wanted. Not now. The new face of dept. stores is too commercialized-especially Wal-Mart. They try, but they will NEVER compete with stores like Newberrys because they don't have a real solid relationship with the local people and most Wal-Mart employees don't speak any English at all, especially here in Alexandria, VA. If home could be like it was when I was younger, I would not hesitate to go home. You are so right about Walmart (and other chains) not being able to take the place of Newberry's. Without the solid relationship with the community, these stores become pretty empty experiences. My father was a manager of several new berry stores in Pennsylvania. Chambersburg, Berwick, Sunbury, Freeland, and one in Ironton Ohio. We loved moving to new towns. 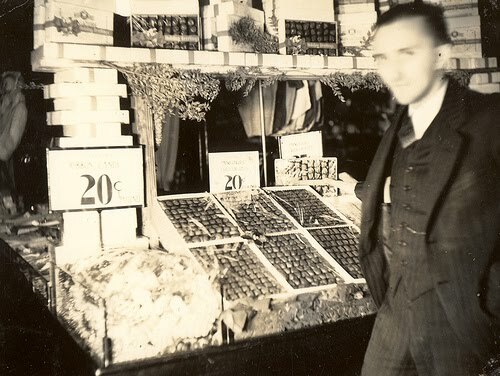 I often wish I could go back in time to any of my fathers store and take one sample of everything, because all those cheap items are now expensive antiques.